anybody | Bea Cannon's Blog. What an entertaining read! 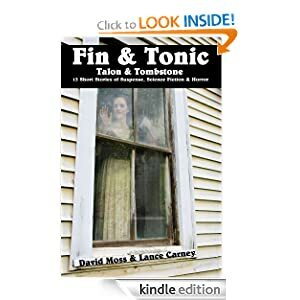 This book of well written short stories span a range of topics, some dealing with the supernatural or paranormal, some with science fiction. Some are horror, and quite dark, guaranteed to give a delicious shiver, or in the case of “The Pizza Man”, a shiver and a laugh. One favorite of mine, “You Do What You Gotta Do”, a science fiction piece dealing with an alien come to do some abductions, I found to be downright hilarious – and surprisingly sweet. A few of the stories can’t be categorized into a specific genre as they contain elements of more than one, but they are, nevertheless, a delight to read. I would recommend this book to anyone who enjoys any of the above genres, blended or otherwise, especially if they don’t have a lot of time to read, or to anyone who likes a good short story. I’ve been absent for a while. I’ve been dodging between raindrops, so to speak, what with the holidays, trying to get in some reading, working on the first draft of the third book in my trilogy (Boucher’s World: Encounters, remember? ), which, by the way, I’ve finished and am in the middle of a first edit before getting beta readers. I’m also trying to finish proofing two short novellas I’m publishing on Createspace. I got sick on the second day of the new year and couldn’t function for nearly a week (except to tweet – only missed one day of doing that, LOL), so I’m not nearly where I’d intended to be by now. Oh, well. Stuff happens, and then you move on. I’m not sweating any of this, just taking it one day at a time. I’m feeling better now, though I had a slight set-back yesterday, but today, I’m moving on. I did manage to get to the first meeting of the year for the writing meet-up group I’m a member of (the University Area Write to Publish group), and lo and behold, there was a very nice young lady there who’s a free-lance writer for our local newspaper, The Charlotte Observer, and she has written a wonderful article about our meet-up group. It can be found here. I thought she also took a great picture of the group to go along with the article. This young lady, Marjorie Dana, is also starting down the road to becoming a novelist herself, so I’m wishing her the best in her endeavors, and, judging from how well she writes articles, I can believe she’s going to be quite impressive with her book. So I put my KDP select novelette, Hard Changes, up for free for three days. Then I forgot I had it scheduled until a few days before. Bad move. I rushed to put up a post about it then went looking for sites that allow you to put your free book up. Unfortunately, a lot of them require you to have reviews and at least a three star rating. Heh. It has no reviews and no stars. And most sites require a heck of lot more lead time than two or three days. I did find a couple that put it up for me, but apparently, judging from the number of downloads, that wasn’t enough. It’s a science fiction story, and even there it’s sort of a niche book. Or, maybe it’s just a rotten story. Sigh. Oh, well. I have two more free days left. I’ll schedule those and try to get a little more going in the way of promotions. Poor little thing’s got a few hours left free today so maybe somebody (or somebodies) will still give it a whirl.